Although they cannot be seen with the naked eye, bacteria are everywhere. They exist in food, soil, water, surfaces within our homes, and in and on our bodies. Bacteria generally exist in mixed populations. Isolation of a specific bacterium from other bacterial species in a given sample allows microbiologists to study its structure and function, characteristics used in its identification. Microbiologists frequently isolate bacteria using one of several streak plate techniques. An inoculating loop is used to transfer microorganisms. It consists of a nichrome or platinum wire with a small, circular loop on one end. The other end is straight and slides into a handle. Plastic disposable inoculating loops are also available. Bacteria can only be isolated if they grow. 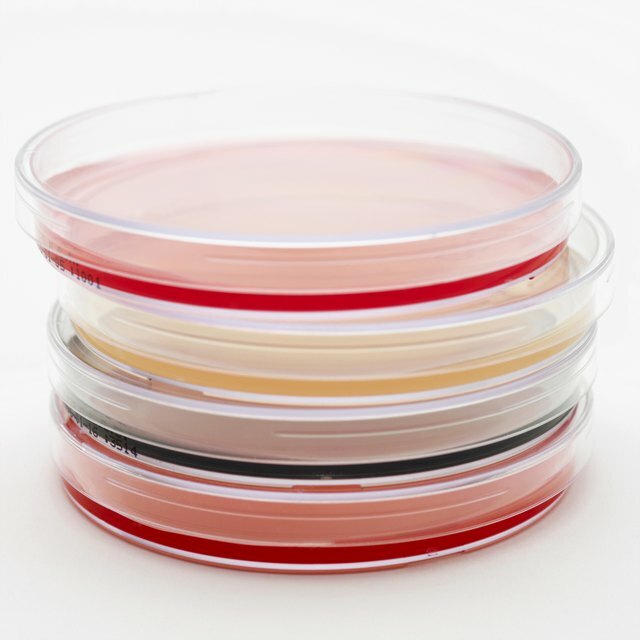 Microbiologists grow bacteria for streak plate isolation in shallow, round petri dishes filled with a solid medium, called agar. Agar mimics the environment in which the bacteria naturally grow. The media-filled dishes are sterile and lidded to prevent growth of unwanted organisms. During streak plate isolation, the inoculating loop is repeatedly sterilized in the flame of a Bunsen burner. The streak plate technique is the most popular method for isolating specific bacteria from a sample containing a mixture of microorganisms. The technique essentially dilutes the number of organisms and reduces their density. It allows microbiologists to distinguish and isolate individual bacterial colonies. A colony is a visible cluster of bacteria. All of the bacteria in a single colony originate from the same bacterial cell. Consequently, individual colonies are “pure” colonies. 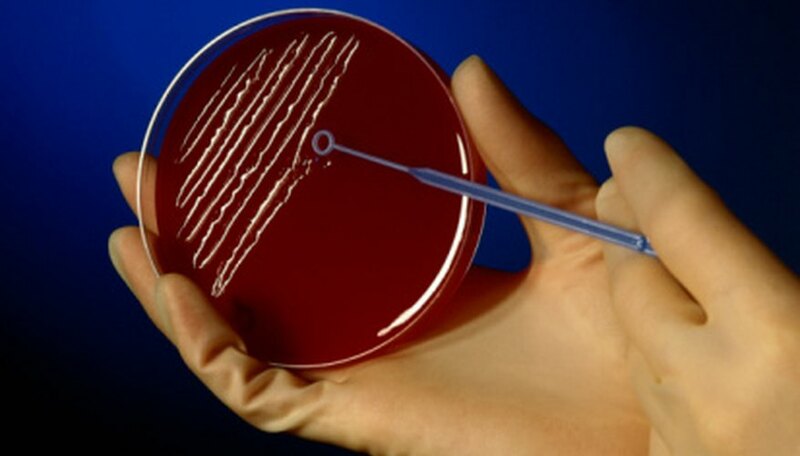 The pure colony is transferred to another plate to produce a pure culture consisting of one type of bacteria. When done properly, streak plate isolation thins out a specimen and enables individual bacterial cells to develop into isolated colonies. A microbiologist begins by sterilizing the inoculating loop in a flame. She cools the loop by touching it to the agar, then dips the loop into the sample and spreads it back and forth to cover a section of the plate. She sterilizes the loop, cools it, and inoculates a second, adjacent section of the plate by dragging the loop through the first section several times and covering the second section using a zigzag motion. This picks up a small number of bacteria from the first section and transfers them to the second section. The number of times this basic procedure is repeated depends on the streak plate method used. Despite the method, the original sample is used to inoculate the first section of the plate only. Streak plate methods vary by the number of agar sections streaked. The T-streak method uses three sections: the upper half and two equally sized bottom sections. The initial inoculum is placed in the top half of the plate. Bacteria are dragged from the top section to one of the bottom sections, then from that bottom section to the other. In the quadrant method, four equally sized sections are streaked. The continuous streaking method typically involves inoculating the top half of the plate, rotating it 180 degrees, and inoculating the other half of the plate without sterilizing the loop or dragging bacteria from the previous section. What is a Subculture in Microbiology? Ruscitto, Cynthia. "Isolation Techniques for a Streak Plate." Sciencing, https://sciencing.com/isolation-techniques-streak-plate-8539650.html. 25 July 2018.